A GRAPHIC video posted to social media has prompted an emergency vet to warn about a little-known increased danger each summer. 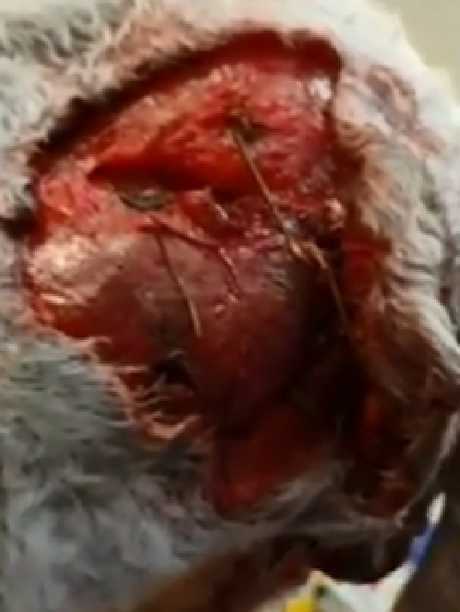 The video, posted by Dr Gerardo Poli from the Animal Emergency Service in Underwood, shows Lacie the white spoodle with large areas of blood and exposed flesh on her sides and hindquarters from a suspected dog bite. "Oh my God'" can be heard on the video as vets examine the dog's injuries, which included a large flap of skin being loose. 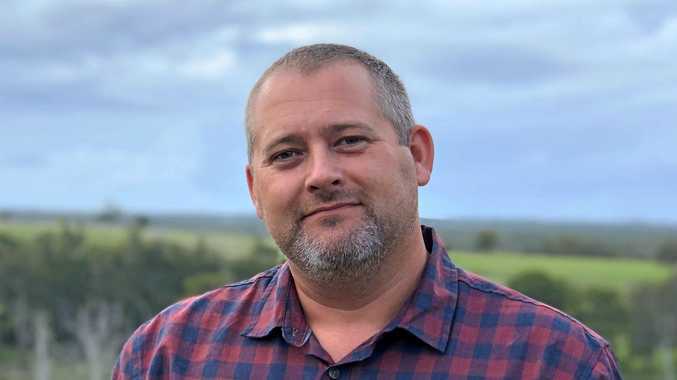 Dr Poli, 36, said Christmas was the prime time vets treated pets for injuries from both dogs bites and fights, with some animals having to undergo hours of lifesaving surgery that could cost thousands. "What happens at this time of year is that families get together," he said. "They meet at one person's house and the others will brings their pets. "What they don't realise is that can be stressful for the pet that lives there as it's that pet's territory." Dr Poli said Christmas gatherings can be particularly stressful for some dogs because of added competition for attention, toys or food. He said fights can start over a bone, food scraps from the table or from having to share their owner's affection. "It can result in dogs biting other dogs or having fights with each other," he said. "There can be an increase in dogs also biting people as well, as families often come over with little children." Although Lacie, 7, escaped her yard, vets said it was an example of the seriousness of some injuries. Veterinary surgeon Kellie Doyle, also of Underwood's Animal Emergency Service, said although it was unknown what happened to Lacie, she suspects she was bitten by a dog as she was running away. "However, her injuries were suspiciously like something had bitten her because of the puncture wounds on both sides. "We think it may have been from another dog." 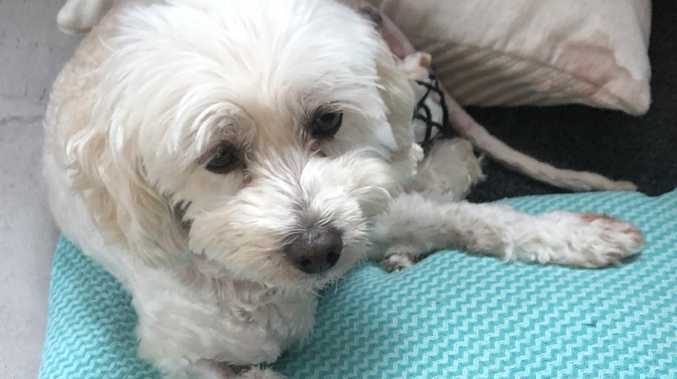 Dr Doyle, 35, said the spoodle had large wounds on her left side that extended over her thigh and gluteal muscles, along with a puncture wound into the muscle. "On the other side, she still had a fairly decent skin tear over the back part of her thigh and one of the hamstrings was torn in half," she said. "They weren't the worst wounds I've seen, but they were pretty bad." Karina Masonwells, 32, of Sheldon, said Lacie's bill had already surged to $3600 with the need for further treatment anticipated. "My husband Mathew, myself and the kids went to Bunnings last Sunday and the dogs managed to get out while we were gone," she said. Mrs Masonwells said Leo, their 6-year-old moodle, had run up to the front stairs as they returned home but Lacie was nowhere to be seen. "As we pulled up, we received a phone call from a neighbouring property saying they had found Lacie and that she was badly injured," she said. "The lady was beautiful and had her wrapped up in a towel and explained the dogs weren't on her property, they were on the neighbouring property, but she had run over because she heard … a lot of noise and that it sounded like goats screaming. "We're so thankful for the lady and expressed that to her. She could have easily heard the racket and ignored it." Try to keep your pet's routine as stable as possible. If having a party, have a separate area for pets to get away from the noise, new people and other pets. Give dogs the time and space to get to know each other. Avoid situations that could trigger an argument such as fighting over food, toys or attention. Buy some of the products that release calming pheromones into the environment to help your pet adjust.